Third Ear Band were a band that had a unique sound. A lot of their stuff (mostly instrumental) had improvised sections. 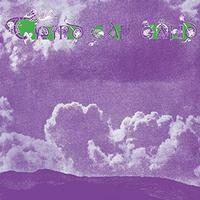 Their sound seemed to work between psychedelia, jazz, prog, classical and more. While all of that meant that their music was far from mainstream, they managed to achieve some success and gain some followers. This new three-CD collection includes an intriguing cross-section of a two-year period of the act. It includes a good deal of previously unreleased music, too. That makes it both recommended as an introduction and for fans. Appropriately the sound of the wind gradually brings this into being. As it approaches the one-minute mark some wind instruments are heard deep in the mix. Eventually musical elements start to rise upward in a tentative and rather hodge-podge way. After a time the cut becomes a jazzy sort of freeform exploration with tribal drumming. It reminds me a bit of some of the jams from the jazzy era of King Crimson. There is some really trippy texture and movement here. Space music, psychedelia and freeform jazz all seem to be part of this arrangement. As it approaches the fade-down that ends it, the percussion seems to become very insistent. There is a world folk element at the core of this in a lot of ways. The music rises up over that soundscape with more of the psychedelic jazz explorations we heard in the previous piece. There is a real vitality and energy to this. It feels living and growing and is quite building as it continues. The tempo picks up as it works onward, too. After a time, though, it slows back down, grounding the piece in world music. Still, it manages to speed back upward after that, creating the bustling vitality again. Jazz stylings bring this in with a raucous and driving movement. It actually has a tendency toward feeling like chaos as it starts. There are some space rock elements at times on this dense and rather noisy arrangement. In fact, there are bits of this that make me think of early Hawkwind in some ways. Yet, the jazz textures are the dominating ones. Further down the road this becomes more driving, cohesive and even rocking. It ends abruptly. Ambient textures are heard at the start of this. Sound effects are heard with only hints of music. I think it's supposed to be the sound of fire, but it almost sounds more like ocean waves. It's after the two minute mark before the music actually rises up very far, moving this in a rather pretty and classical music way. This has more of a jazz element included in the mix further down the road, but more as a merging than a replacement of the sounds heard before. There is a real Celtic kind of vibe to this version of the earlier track. This is more grounded and mainstream in a lot of ways. I think I might prefer this version of the track. There is a grounded, organic feeling to this piece here. It's quite pretty and I like it quite a bit. In fact, I think I prefer this to some of the stuff on the album proper. This feels trippy and quite psychedelic as it opens. There is a real rock element at play alongside the more familiar references from the album proper. It works more in those directions as the piece continues to build. There is a real organic vibe to this. It also has some of those early King Crimson reference points. Noisier, trippy freeform sounds are on the agenda here. The percussion drives this in some intriguing ways along the road. This has more of a Pink Floyd kind of vibe (early variety) to it. It is driving and a little menacing. Starting tentatively, there is a lot of classical music built into this piece. Folk and world music are added to the chassis as the number continues. By around the six-and-a-half minute mark the piece has evolved into a cool world music based movement. Further down the road it works to more exploratory classical music based sounds that become mellower (but also a bit unsettling) as the track moves onward. A percussive element takes control around the eleven-minute mark. It shifts to trippy weirdness as that drives onward. The percussion slows as the composition seems to swirl with nightmarish textures to take it to a pure symphonic bit of weirdness post percussion. Mellower and more classical in tone, there are still psychedelic and jazz things here. This has a satisfying musical texture and is one of the most compelling pieces of the whole set. It weaves some intriguing tapestries of sound as it makes its way forward. I love the violin led movement on this that works into rather nightmarish weirdness. It resolves to more of the symphonic textures to end. A driving percussive element is mixed with both jazz and classical sonic soaring here. There is an impactful, insistent vibe to the music. Ominous and freaky classical stylings are on the menu here. This is disquieting and menacing in a lot of ways. It has an almost psychotic texture to it. While this comes in rather mellow, don't think it's restive. In fact, it's another that has a menacing, psychotic vibe. There is a real classical music bent to it, but it's also dark psychedelia. Despite that, there is a more melodic undercurrent that seems to bring a bit of hope for a more positive resolution. By around the three-minute mark, though, the piece works downward toward near silence. It builds upward from there with dramatic and tense classical music. That serves as the ending for the piece. The opening classical sounds definitely make me think of early King Crimson. Classical music and jazz merge as this grows upward later. It continues in exploratory ways. This actually has vocals, of the echoey chorale variety. But they seem to be non-lyrical and presented more as instrumentation than actual singing. Echoey trippy psychedelia is merged with those creating a piece that feels like some kind of weird hallucination. As this gradually comes into being I'm definitely reminded of the trippier side of early Pink Floyd. By around the four-and-a-half minute mark this has become mostly percussive, but it gets more melodic elements added as it continues. This is still trippy and freeform in nature. It turns noisier and more chaotic as it drives onward. It gets very freaky as it grinds forward. It is symphonic and psychedelic at the same time. It gets into some almost nightmarish territory before it's over. This comes in mellow and gradually works upward. While there is a definite classical element here, I'm again reminded quite a bit of early King Crimson. Eventually this works to some driving rock music, but with a decidedly off-kilter twist. Saxophone and more dance around the arrangement. It gets both noisy and freaky as it drives onward. A closing section brings more of a focus to classical sounds while not fully abandoning the rock. The only actual song-like piece here, this is based heavily on acoustic guitar. It has real vocals and is very much a folk rock psychedelic number. Around the half-way mark this moves out into trippy sounds that focus the psychedelia at a progressive rock angle. The classical and jazz instrumentation of the first two discs are replaced here with more standard rock arrangements. This one rises up with more of that jazz classical texture in a rather stripped down and trippy arrangement. It works out to more of the freeform strangeness the first couple discs gave us. There are definitely comparisons to be made to early King Crimson. By around the four-and-a-half-minute mark this shifts toward more of a rock approach, but it's still twisted and Crimsonian. It works toward Rock In Opposition territory as it drives onward. A weird looping kind of riff takes over by around the eight-minute mark bringing an almost hypnotic texture to this. That continues to guide into new explorations that are equally freeform and strange. Further down the road a stripped back bit serves as the accompaniment for some pounding, driving drumming. A short bit of playful music leads to a false ending. After some silence, some trippy psychedelics that make me think of early Hawkwind gradually rise upward. This starts to evolve to more of a freeform jazzy kind of thing with a lot of early King Crimson in the mix from there. By the time we get to the 16-minute mark (this piece is over 22-minutes long) this has evolved to more of a rocking jam that's just a little more mainstream. It still has plenty of RIO built into it along with some psychedelia. Some funky guitar is heard as it continues driving forward. It builds outward into some rather driving, almost mainstream rock from there. There is a voice that rises up further down the road, too. It's pretty far down in the mix, though. Coming in tentatively, there is a jazzy air to the number as it starts. It eventually starts to drive forward with more insistent progressive rock textures and sounds from there. There are hints of things like Traffic, but tempered with classical music and King Crimson-like elements. Eventually this turns out to a melodic and cohesive jam that has a lot of jazz built into it. Weirdness brings this into being, and it gradually starts building upward from there. It is a fairly trippy and rather organic classical meets psychedelic exploration. This starts tentatively and plaintive. As it continues there is a twisted soundtrack element at its heart. Classical music is at the core of the weird trippy textures that build from there. This gets very noisy and rather menacing as it drives onward. Rock In Opposition is a valid reference point on this piece. Percussion begins this number and holds it for a time. The bass joins and we get more of a rock groove. Eventually other instruments join, and this begins to work upward from there. I can make out hints of things like ELO in the mix of this number. The bass work on this thing gets pretty crazed later as the track really gets into some cool exploration.